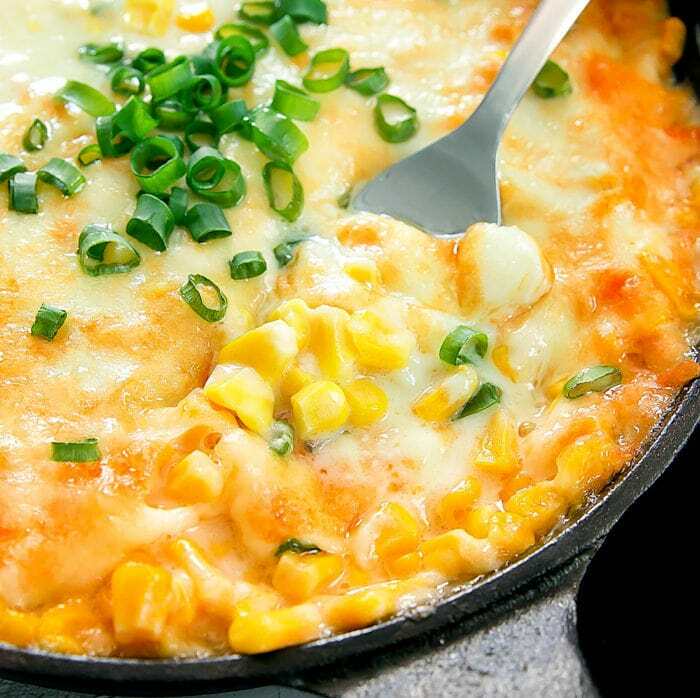 Korean Corn Cheese is a popular appetizer or side dish which can be easily made at home. It tastes similar to creamed corn with melted cheese on top. You’ll often see this dish offered at Korean BBQ restaurants and it’s also a popular drinking food. I can never stop eating this dish when I’m at a Korean BBQ restaurant. I end up filling on this instead of the meat. I’m actually thinking of serving Korean Corn Cheese at Thanksgiving this year instead of my traditional slow cooker creamed corn. It’s easier to make than creamed corn too. You start by cooking the corn in some butter, mayonnaise and a little bit of sugar to add some sweetness. Then you sprinkle the surface with mozzarella cheese and let it melt over the corn. If you want, you can finish it off in the oven, which gives the cheese some color and texture. 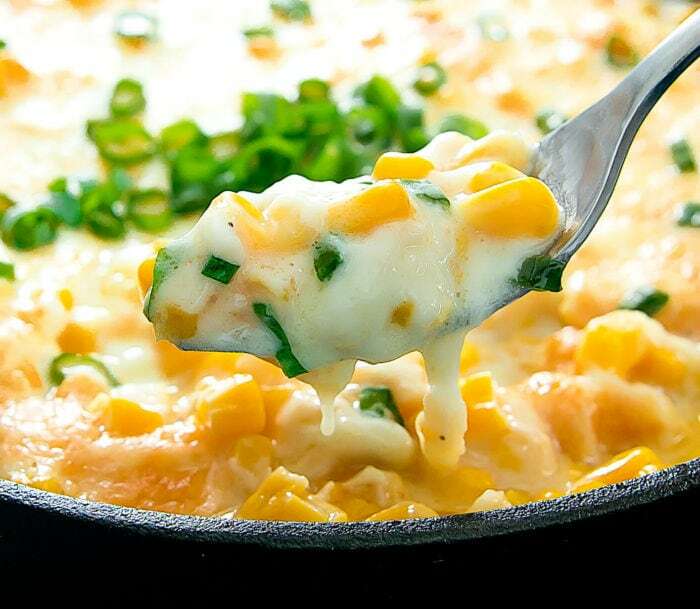 A popular appetizer consisting of creamy corn topped with melted cheese. 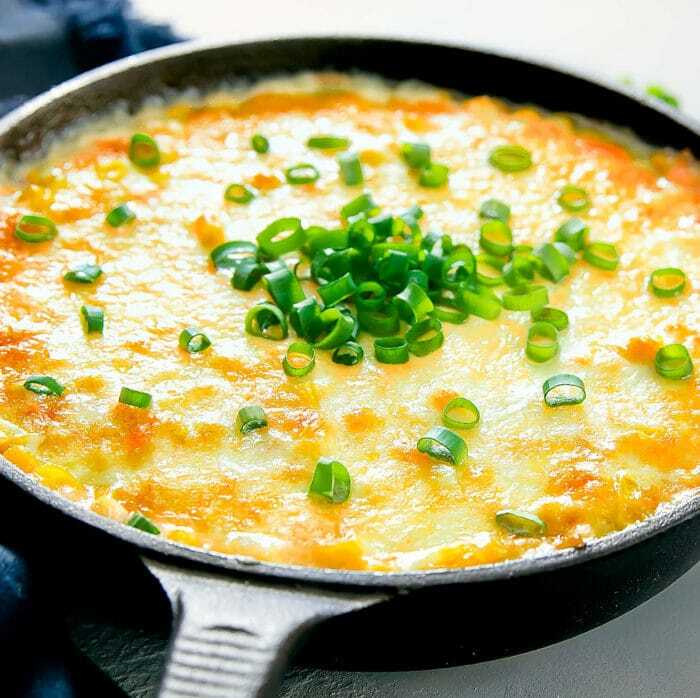 In a large cast iron skillet, add corn, butter, mayonnaise, and sugar. Bring skillet to medium heat and stir contents continuously until butter is melted and corn is evenly mixed in the butter and mayonnaise. Sprinkle salt and pepper and mix in. When the mixture is bubbling and hot, sprinkle the surface with cheese. You can cover skillet with a lid until cheese is melted or you can put the skillet into the oven. To finish off in the oven, place skillet in oven. Set your oven to low broil. Watch through oven door carefully and let cheese broil about 3-5 minutes or until the surface turns a light brown. Remove from oven and garnish with fresh scallions. Serve while warm. Wow! I’ve never seen or heard of anything like this before (we don’t have a huge Korean influence in Scotland, as I’m sure you can imagine!) 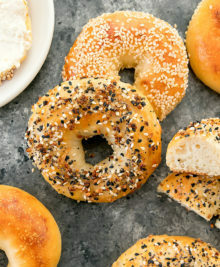 but it looks so creamy and delicious, definitely pinning for a time that I need something cheesy! This sounds delicious! If there is a work potluck, I may make this!!! I just made this and it was so good. 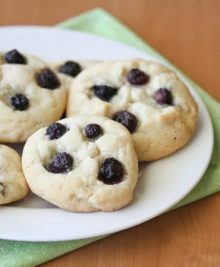 Thank you for the recipe! Do you use chips to dip it with? I’m wanting to use it as app for an Olympic s party. Thanks! 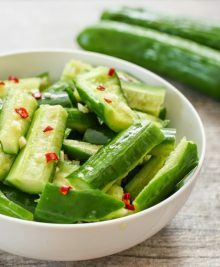 It’s usually just eaten as a side dish but it should work as a dip too! Hi there! I want to make this side dish that would serve 30 people. Do you think it would work if I use a pyrex baking dish and just bake it in the oven? yes using pyrex should be fine. I would still start on the stovetop to melt and mix everything together. What type of mayo do you usually use with it? If I cover the pan with a lid -instead of putting it in the oven- do you think I can get away with using a nonstick pan?